You’re a first year language arts teacher. You’re probably excited. Hopefully you have a few ideas – and more than a few plans. That’s a joke. I know you’re brimming with everything to teach your students. You’ve maybe thought of this day since you pulled a circle of chairs in your living room, plopped your baby dolls down, and started a lesson. I also know you know this, but I’ll repeat it: Every day with students is important. You are the determining factor in the classroom. You knew that though. Surely it played into reasons for becoming an English teacher. And you definitely know that you signed up for a tough job. I set a goal for myself. I wanted to help new teachers because I remember my first year of teaching. The questions, the exhaustion, the eagerness to do everything the best I could. I created a series of blog posts for a new language arts teacher. Not because I know everything or because I’m perfect. I thought of what I could have done differently, what questions I had, and what could have gone better. 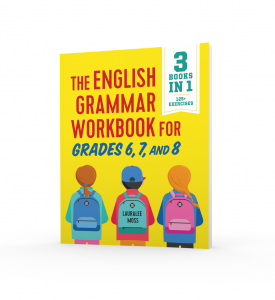 I wrote what may help a new English teacher. A long letter from me to you. If these help one new teacher, I’ll be pleased. So here you go! 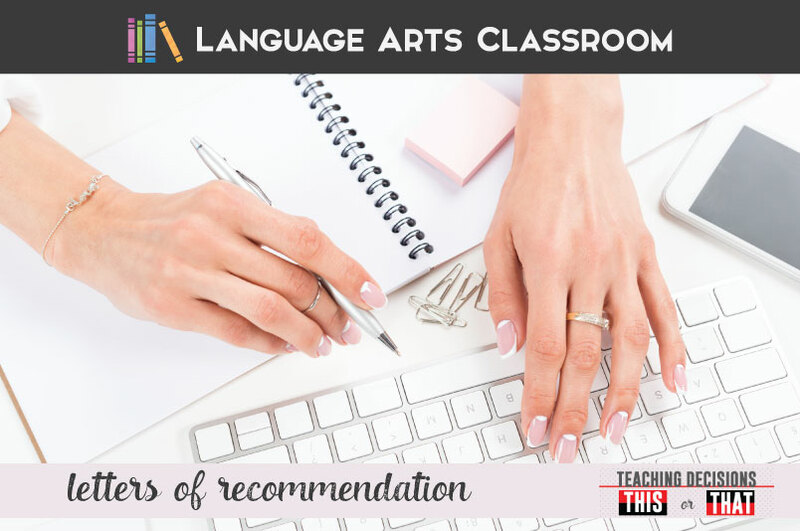 As a first year language arts teacher, you’ll write lesson plans, and rewrite them too. Not one right way exists to create lessons, but sometimes it helps to take a peak at another teacher’s process. Still need help? This is such a process, I wrote about creating lesson plans twice. The process of perfecting a classroom setup never truly ends. New research, changing trends, student interests… get started with these no-nonsense tips. You need to have personal necessities at school. What will get you through the day, and maybe longer days? This is a comprehensive and no-fuss list. Dress professionally, on a teacher’s budget? 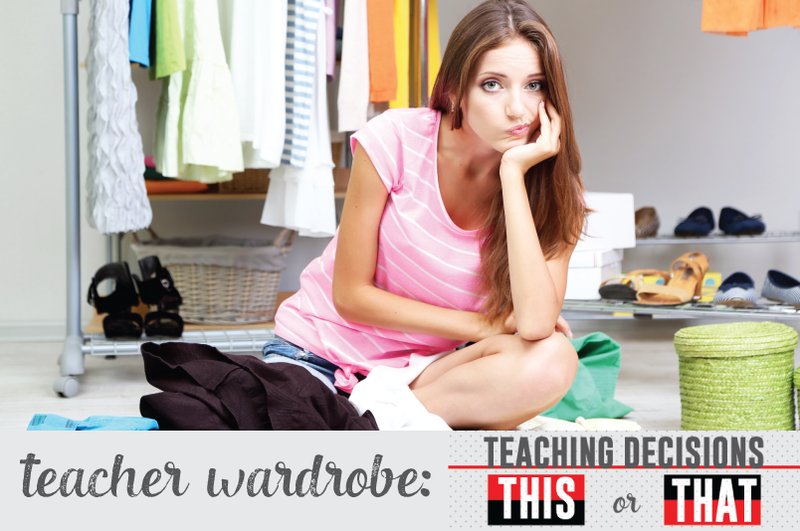 Read these tricks and create your teacher wardrobe. Yeah, not the most glamorous part of teaching – organizing. Trust me though: after you create a project, you’ll want to locate it next year. You’ll teach novels, and want to impress upon students all the facets of literature! You may not have time for all the research though. Try implementing a few of these quick ideas. How can you be prepared for that first day? This is a list of considerations for that first day with high school students. Students, parents, and coworkers will ask how you will handle certain situations. What happens in this case? What about this? This is a list of some questions for you to consider, but that you don’t have to answer right away. Coworkers and friends, and some feelings you may face. I don’t abide by the “don’t smile until Christmas,” rule even though I sorta did at one point. Routines and procedures go a long way with older students. This situation did not exist when I began teaching, although I wish it had. 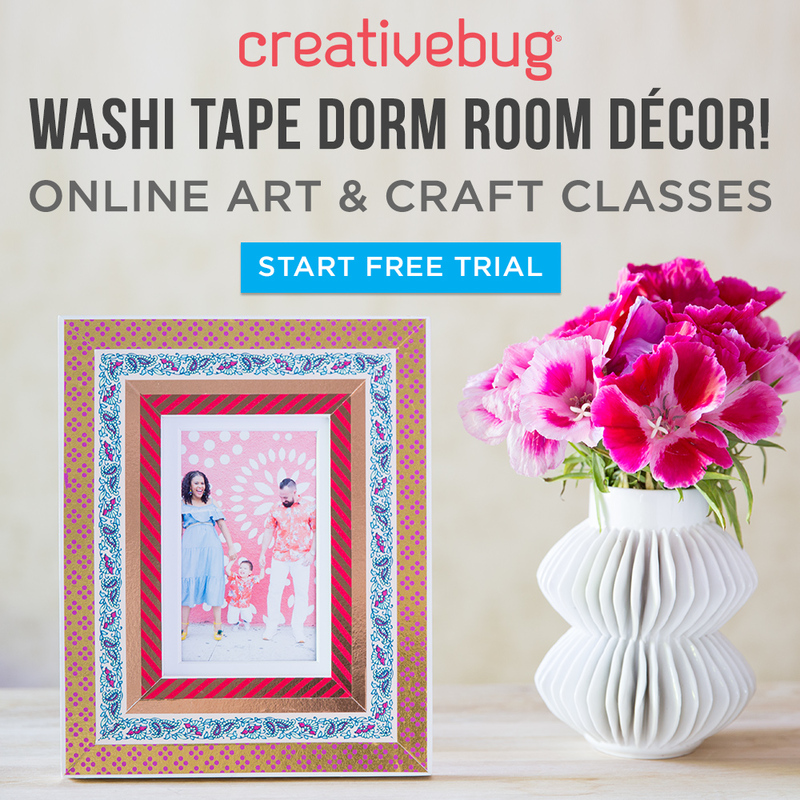 You may look to purchase teacher created materials. Purchase wisely though! (It also doesn’t hurt to start with freebies). Cleaning at the end of the school year. Yep! Your first year will end. Before you walk out the door, clean and organize for a smooth return. That first year of teaching will end, and you’ll be sharing tips. A first year language arts teacher will be happy to hear them. Thanks! I hope it helps her. Thank you!! 🙂 I start my first year of teaching this fall & am soaking up all the wisdom I can find! I wish I had found this earlier, but I’m mid-first-year and I think this will save my life for what’s left.